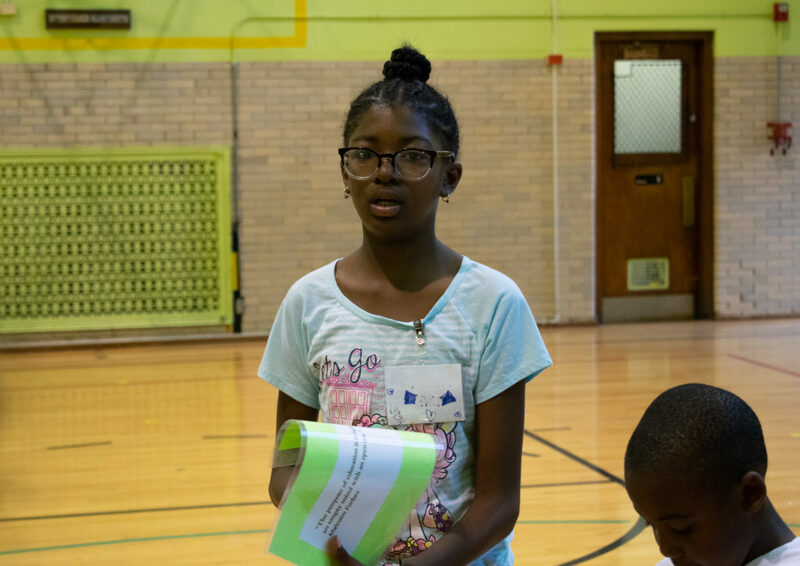 “I said a boom-chicka-boom!” a group of seventeen children roared in unison at Sayre Language Academy in Galewood on Chicago’s Northwest Side. Their thunderous cries that July afternoon could’ve easily been mistaken for pre-battle war chants. But the exuberant screams were a part of a daily warm-up routine at the Local-Motions Performance Arts summer camp. 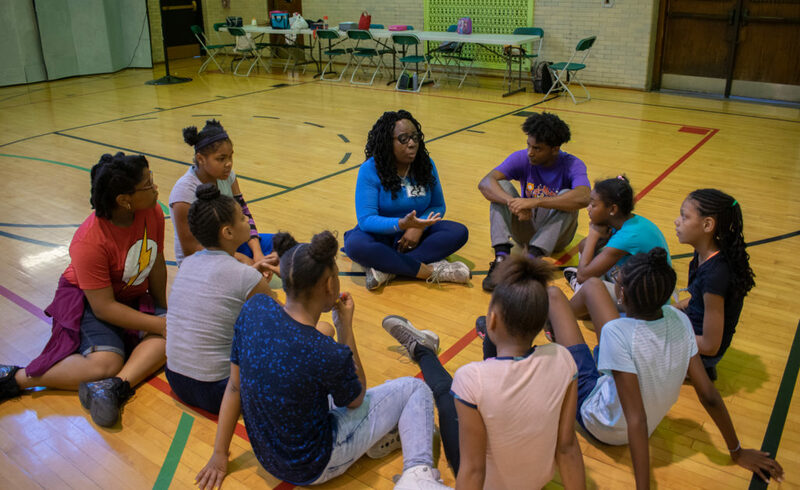 “I wanted to create a stable platform for real change,” founder D’Lana O’Neal said about the summer camp, which is now in its 17th year. On Aug. 11, Local-Motions will host “See My Peace,” an art exhibit where the summer program’s youth will share their visions of peace within their communities. The event – free and open to all ages – will be held at the Rock of Our Salvation Church in Austin from 11 AM to 3 PM. “The kids have created the backdrop design for the event and posters and signage,” O’Neal said. There also will be a raffle with creative note cards that the kids made as prizes. 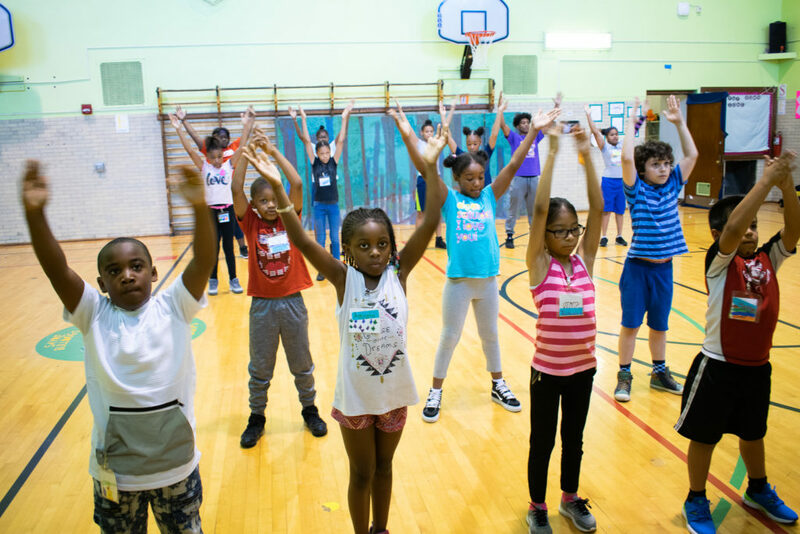 O’Neal started Local-Motions in 2001 as a nonprofit offering performance arts instruction to children ages five to 18 in Chicago. This year, Local-Motions received a grant from the Safe & Peaceful Communities Fund. The grant, O’Neal said, will cover the expenses for “See My Peace,” including the refreshments, deejays, a live band and art supplies. Though most of the nonprofit’s programming is housed inside of its West Side office, located on North Avenue near Ridgeland Avenue, O’Neal chose Sayre Language Academy for the this year’s summer camp because it is a more accessible and central location for the kids to get to. 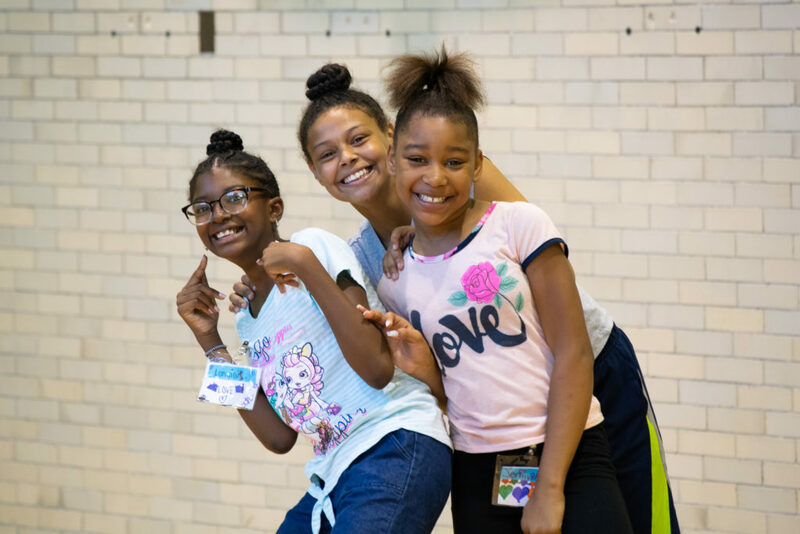 Each day at the summer camp, the kids prepare for the “See My Peace” showcase. During my visit, the kids began with chants, dances and running exercises to get their creative juices and physical energies flowing. Next, camp counselors led the children in a range of activities to keep them working towards the exhibit. The kids did some interpretive dancing, where their joyous movements evoked fervent emotions in anyone watching. They engaged in round-table discussions about virtues, such as integrity and courage. O’Neal uses this exercise to teach kids how to stand in their truth.